Everyone hears what you say. Friends listen to what you have to say. 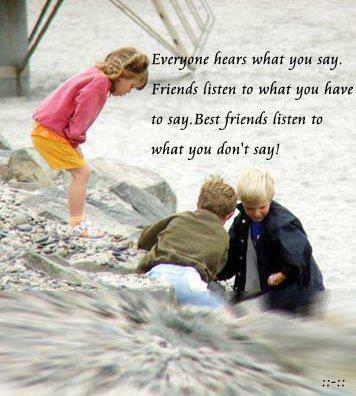 Best friends listen to what you don’t say.